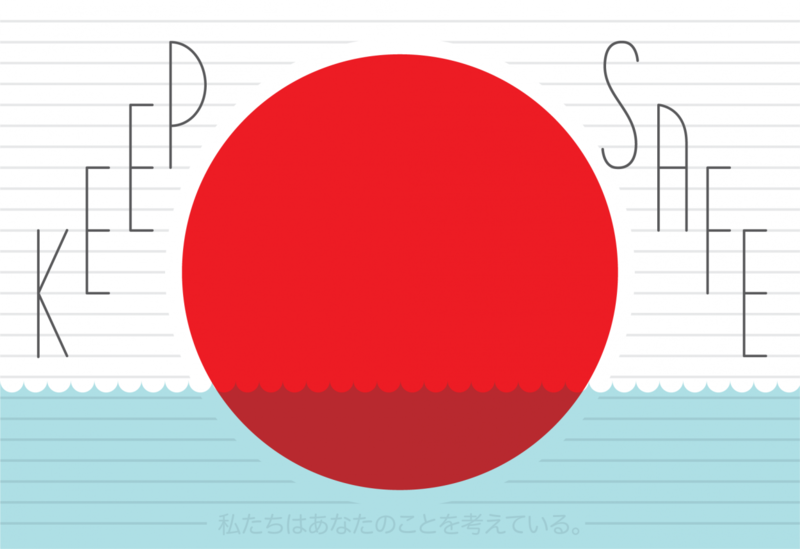 Our thoughts go out to all the people in Japan. The Japanese at the bottom is incorrect, but very simple and nice composition. Google translate is pretty inaccurate when it comes to Japanese.. Should maybe read “私たちはあなたのことを考えている。” But, the message is brilliant.. I love it. Thank you for your comments and hope all of you and your families are safe. Shinya thank you for the corrected message. I have updated the post! if you have any other encouraging images, photos, or videos please submit them to withjapan on tumblr!